Ashland Creek Press, 9781618220271, 260pp. 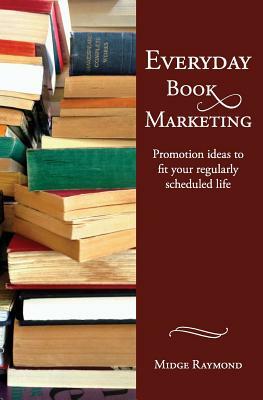 Everyday Book Marketing is for the published author who is not only a writer but who also may have another career, a family, and any number of other obligations that require fitting book promotion into a budget where both hours and dollars may be hard to find. This book will guide you on the journey from Writer to Marketing Pro, offering essential marketing tools along the way-including such book promotion basics as how to schedule a book tour and how to make the most of social media to how to keep the buzz going long after your launch date. Everyday Book Marketing is divided into easily accessible sections that cover not only what you'll need to handle before publication, such as establishing a blog and website, but what you can do during your book launch and beyond. It also offers tips and advice for how to keep the never-ending tasks of book promotion manageable, whether you have ten minutes a day or two hours a day. Also included are Q&As with a range of authors and industry experts-from fiction authors and poets to librarians and event managers-who provide such invaluable tips as how to present yourself as an author, how to reach out to event coordinators, and how to find new readers both within your community and beyond.